Feeling intimidated by the expectations of Valentines Day? Don't worry, here are 10 ways to both surprise and spoil your partner according to their love language. Racking your brain to understand what I mean by ‘love language’? Gary Chapman wrote a book about the 5 different ways that each individual expresses their love. There is quality time, acts of service, words of affirmation, physical touch and receiving gifts. http://www.5lovelanguages.com In knowing yours or your lover’s fluent ‘love language’ means planning ideas for Valentines Day or any romantic gesture removes the sense of intimidation or need to fulfill expectations. 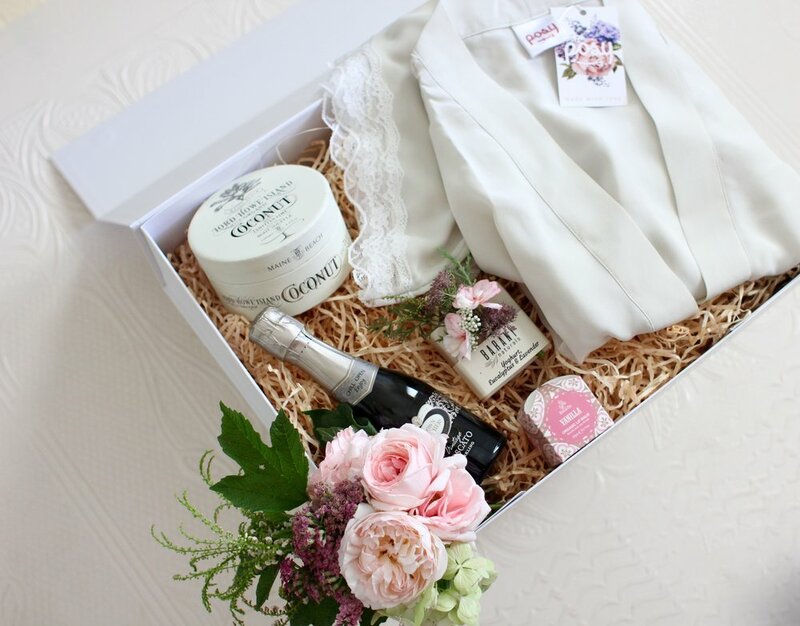 Our number one favourite at The Simple Gesture is, of course, receiving gifts so we have designed the perfect luxury gift hampers for him and for her in our Valentine’s Day gift range. In a world of technology we are all guilty of forgetting to live in the moment with distractions coming at us left, right and center – we may as well plan our Valentine’s date for our iPhone and ourselves. If this sounds like you and your love language is screeching ‘quality time’ all it means is that you crave undivided attention. 1. Escape your mundane life and indulge in a slice of heaven by booking a hotel room for a night. This is one of the most romantic ideas for someone who desires quality time. There will be no distractions like dishes, laundry and home phone. Only the two of you, a bubble bath, white fluffy robes and perhaps room service with champagne on ice. 2. 3 simple ingredients- a basket, a rug and some good food and wine this is a recipe for a romantic and memorable Valentines Day. It doesn’t shrink your bank account but it does expand your relationship. A breathtaking and secretive location for this simple, old fashioned and romantic picnic will be the only distraction from your date focusing on quality time with your significant special other. Abraham Lincoln had it all right when he said ‘actions speak louder than words’ especially if your love language is acts of service. On a day-to-day basis this could include things like restocking the fridge or lending a hand with running errands or work tasks. On Valentine’s Day you can express your love through organising a date that is sentimental. 3. Remember back to your first date, whether it was the moment you knew that they were the one, filled with awkward small talk or firework lip locking. An act of service to swoop your partner of their feet would be to reenact this first date. Take them back to that movie cinema, ice-skating rink or restaurant. Reminisce on the honeymoon stage of your relationship and how far you have come. 4. Picture your living room filled with pillows, blanket forts and fairy lights. A home cooked meal, a bottle of wine, candles and an indoor movie cinema…romance at its finest. A powerful communicator of love is words of affirmations. These can be simple statements expressing your love and appreciation for someone fueling their confidence and allowing them to understand where you both stand in the relationship. This comes from a place of trust and understanding leading to a sense of intimacy. 5. Laughter similar to words can draw a couple closer together. A romantic and alternative date for Valentine’s Day is going to a comedy club. You can make a night of this with dinner, drinks and a good old belly laugh. 6. As we all know Valentine’s Day is on the 14th of February, so instead of making a day of it why not make 14 days of it. I call it 14 days of love, each day you give an envelop filled with a letter, words of affirmation, date ideas such as indoor sky diving, movie tickets, future plans, your favourite memories thus far with your partner and anything else you can think of. This is a very intimate and secure way of expressing your love. This doesn’t necessarily mean public display of affection (because those of us who are single know how uncomfortable this can make us) but it can be a kiss, hand holding or even just sitting close to your partner on the couch. 7. Dinner and a movie may be the standard Thursday night date night, but why not spice things up by signing up to a couples dance class. Depending on what your style is you can do the Waltz, Tango, Salsa the list goes on and on. This is romantic, fun and perfect for those who crave intimacy and touch. You can even show off at your friends’ next wedding or the club… again depending on your style. 8. We’ve all seen the movie “Ghost” with Patrick Swayze and fantasised about the internationally recognised romantic clay scene. So why not live these fantasies and book a pottery class (or any other class of interest) for you and your partner on Valentines Day? You won’t leave empty handed meaning it will be a date that will be remembered forever. Receiving a gift means more than materialism – it means that your partner listens to your wants, needs and goals. 9. Knowing that your partner cares, listens and wants to surprise you with your favourite things is the most securing and romantic feeling. Purchase a basket and fill it with their favourite things from fluffy socks, to a massage coupon to a packet of red frogs. This is the most thoughtful idea for Valentine’s Day and only requires you to remember the little things about your partner. 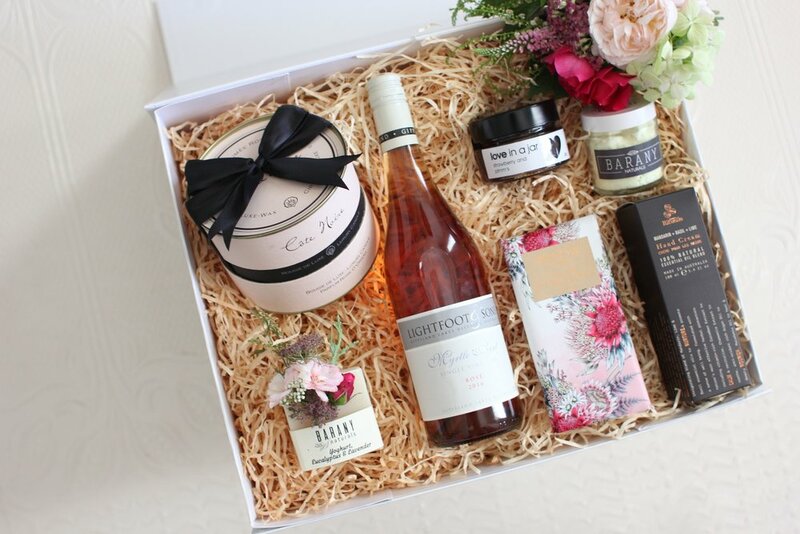 The Simple Gesture is a bespoke gifting studio that specialises in providing curated and custom gift hampers and the perfect choice for your special Valentine.